People with cutting-edge ideas who make the world a better place. Important questions about Asia’s future were considered at the Future of Asia Conference hosted by the Los Angeles World Affairs Council at the Fairmont Miramar on September 15 and 16, 2016. Over 60 speakers including a US Admiral, a North Korean defector, CEOs, dignitaries, authors, and academics added to the discussion. A big question many people wondered: will the U.S. and China play well together in the next century, or will they blow each other up. Another question many people wondered: will smaller players like North Korea or ISIL incite a conflagration that escalates into another world war? Pax Pacifica or World War IV? There's good news for Asia and the world: The Phenomenal Rise of The Asian Middle Class. The Conference featured several panels about the rise of the middle class including “China Dream,” “Entertaining Asia,” and "Future of Asian Cities." At 1.3 billion people a piece, China and India are two of the biggest, most populous economies in the world, and they are growing rapidly into first-world status. Several of the smaller Asian countries like Indonesia and South Korea are growing rapidly, too. As a rule of thumb, when people start to enjoy first-world comforts, they are more inclined towards peace rather than war. Why rock the boat when you’re living better than ever? The foundation of [a country's] security is a strong economy. Increased trade binds nations closer together because there's more to lose when there's instability. #27. China's middle class is projected to grow from 47 million people in 2010 to 472 million in 2020. #95. In 2005, only 23 of every 100 inhabitants in the Asia-Pacific region had mobile internet access; in 2014, the number had risen to 89 of every 100. The booklet also points out several areas where Asia is already far superior to America. #69. South Korea has the world's fastest internet with an average speed of 23.6Mbits/S compared to the US, which has an average speed of 11.9 Mbits/S. #61. Japan has 40,000 Electric Vehicle (EV) charging stations, and 30,000 gas stations. China has 50,000 EV stations, and 99,000 gas stations. The US has 9,000 EV stations, and 114,500 gas stations. #24. A new billionaire was created almost weekly in China during the first quarter of 2015. Speaking of billionaires, the Conference included a fireside chat about Chinese billionaire, Jack Ma, and his company, Alibaba. The panel was called, "Future of Technology: Alibaba." The two people chatting were investor, Duncan Clark, who just wrote the book, Alibaba, The House That Jack Ma Built, and LAWAC President and CEO, Terry McCarthy, who's very informative, and speaks six languages. It was a lively discussion. Duncan Clark has known Jack Ma for years. Alibaba has a bad reputation for selling pirated goods, but Duncan revealed an interesting insight about the Chinese middle class. As they accumulate more wealth, they shun pirated goods, and opt for the real thing, even though most pirated goods are as good as the real thing. Here are three more insights about technology that were illuminated during the conference. 1. Apps like Snow, the SnapChat of China, and Line, the WeChat of Asia, are enabling more people, especially younger people, to express themselves more freely. 2. Virtual Reality technology will explode across the world, and right now, we're only seeing the tip of the iceberg, according to the President of Sony Pictures Home Entertainment, Man Jit Singh, who participated in the panel, "Entertaining Asia." 3. #25 from the Future of Asia: By the Numbers 100 Facts: The Chinese supercomputer, the Sunway TaihuLight, became the fastest in the world in 2016. It is roughly five times more powerful than the speediest US system. Many good ideas were discussed by many knowledgeable luminaries at the Future of Asia Conference. The combined future of Asia and America is dynamic and promising. Many mis-steps are likely. Major armed conflicts are possible, but hopefully not inevitable. I spoke with Terry McCarthy at the beginning and end of the Conference, and he shared some of his thoughts with me about the future of Asia. As long as people keep the conversation going, as long as economies and social classes are growing, and as long as people focus on creating a phenomenal future rather than getting mired in the past, we are on the verge of the most exciting golden age the world has ever seen. People should be aware of the forces at work in American-Asian relations. Attend the Future of Asia Conference 2017 to learn more. Britweek: Tough Economy? Get Brand Integration. the economy has been rough on america and britian, even the entertainment industry has suffered. during the 2016 britweek film & tv summit, industry insiders talked about the downturn, and some lessons learned. the event was produced by variety and the british academy of film and television los angeles. broadcast and cable networks are projecting better revenues for 2016. the movie business is getting better, too, especially in terms of raising equity for films. movie distribution is still challenging, however, according to celine rattray, producer of the kids are all right. budget constraints lead to creative problem-solving, and oftentimes, better movies. one creative solution is brand integration. brands are looking for more efficient ways to reach an engaged audience, and the traditional 30-second spot is less engaging than the content it sits against, according to brett lyons of match entertainment. it’s a safe way to engage viewers, according to phil ashcroft of island nation media. one creative use of brand integration is to offer it for free as a way of strengthening a relationship with a brand. variety is hosting several exciting events this summer that will be attended by many industry insiders. take your pick from a great line-up. welcome to the now, said eckhart tolle, as he strode onto the stage at the shrine auditorium where he was joined by deepak chopra on february 27. the two of them discussed pathways to higher consciousness. tolle said the beginning of higher consciousness is when you realize there is an endless voice in your head that never stops talking. ignore the voice! my greatest achievement is i don't think when i don't want to think, he said. according to tolle, the mind is a tool that should be used sparingly. how do you minimize the incessant mental chatter? invite stillness into your life. invite into your life spaces of pure presence and being. look at a little baby who bubbles with bliss. look into the eyes of a dog, who is filled with love. obama's dog has no idea his master is the president of the united states, said chopra. dogs and babies live in the now, and are not weighed down by the past or future. according to chopra and tolle, the only place you can experience consciousness is in yourself. realize who you are in your essence. your core being is pure love, curiosity, wonder, and joy -- a timeless dimension within you that is far deeper than your conditioned personality. can all humans evolve into a state of collective higher consciousness? can we live in a world free of war, poverty, greed, and racism? tolle said world peace is dependent on a sufficient number of humans who live in state of higher consciousness. the only thing more insane than the personal ego is the collective ego. chopra quoted confucius: we are not fully human until we experience an outflow of benevolence, goodwill, and loving kindness, and have gone beyond a limited sense of identity. tolle made a fascinating observation about human evolution: our path follows an upward trajectory of growth, but with loops of regression. he made another keen observation on where we are in the trajectory right now. we're here to address higher consciousness, but no matter how important it is, i don't remember reading about it in the newspaper, hearing about it on the television, or listening to any of the presidential candidates address it. for a presidential candidate to mention higher consciousness would be political suicide, except for the one candidate for whom nothing is political suicide. tolle was referring to donald trump. it’s hard to say what trump will do for our collective higher consciousness, but spiritual leaders like deepak chopra and eckhart tolle are making the world is a better place. jack and suzy welch were interviewed by peter guber at the live talks la event on may 18, 2015. mr. and mrs. welch were in town to promote their new book, the real-life mba. you have to meet mr. welch in real life to understand how optimistic, creative, and empowering he really is. everybody knows ge’s success sky-rocketed under his leadership. most people know it’s because he championed powerful ideas such as six sigma and boundarylessness. for example, six sigma emphasizes precision. boudarylessness promotes openness. those ideas rippled throughout ge, and brought more ideas to life. some people know his boundless enthusiasm and positive energy were the real forces behind those ideas, and behind ge’s success. when you meet him, you realize all this, and more. you realize he has a heart of gold. leaders create a vision, and inspire you to reach that vision. to inspire over 200,000 ge employees, mr. welch championed the golden leadership values of transparency and generosity. to demonstrate their effectiveness for the audience at the live talks la event, he shared his story of how he accidentally blew up a ge factory early in his career. i let him know exactly what happened, why it happened, and what i did wrong. when you get out there in a transparent fashion, recovering from failure really works. his boss’s boss turned the catastrophe into a learning opportunity. he responded to mr. welch with generosity, rather than kick when he was down. mr. welch continued to blossom within ge. a great thrill of leadership is to empower employees to become leaders, too. never kick anybody when they’re down. kick them when they’re swelling instead of growing. transparency is a combination of honesty and integrity. generosity is a combination of empathy and humility. mr. welch had a talent for championing great ideas that brought more great ideas to life. as an employee, mr. welch blew the roof off a ge factory. as the ceo, mr. welch blew the roof off ge. to see the full interview of the live talks la event, follow this link: jack and suzy welch in conversation with peter guber at live talks la. 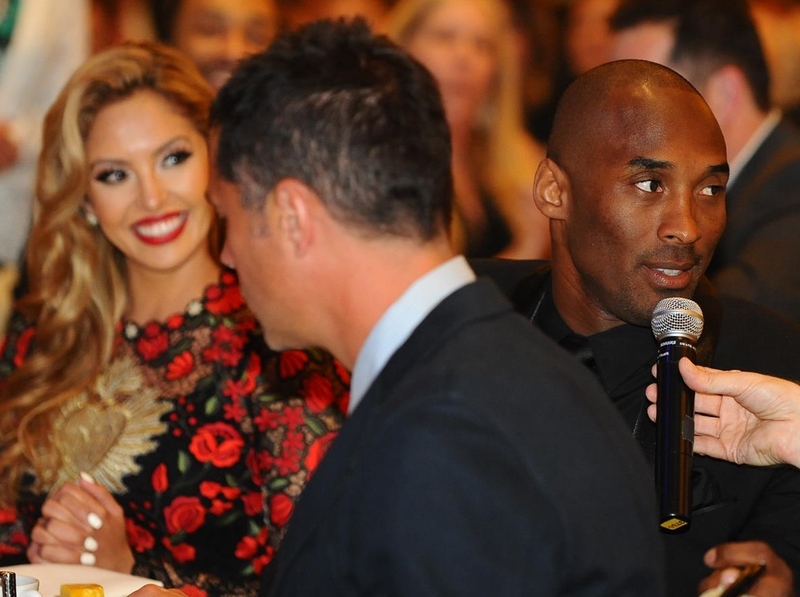 At the 2015 Toberman Gala to honor Kobe and Vanessa Bryant’s philanthropic work, the super-team of Kobe, Joyce Sharman, Jeanie Buss, and long-time courtside ticket holder, Bob Barth, spontaneously created a duplicate live-auction package after the audience’s demand for the original item rose over $20,000. The total dollars netted for the two packages: $43,000. The money goes to the Toberman Center, a community program that supports at-risk people in the LA Harbor Area. The entire evening netted $410,000 for Toberman, up from $260,000 last year. What’s in The Package: two courtside seats to a Lakers game, a one-on-one post-game conversation with Kobe, and an iconic painting of Kobe driving the paint. As the bidding jumped sky-high, the super-team asked the auctioneer to take a time-out as they passed around their ideas on how to maximize the intense demand. Are more courtside seats available? Can Kobe do another one-on-one? Who will donate another painting? “The front office will do everything they can to make us better. I’m going to be in the gym 5 to 6 hours a day. Bob Barth and his friend, Ron Flury, donated both sets of courtside tickets. In less than two minutes, the super-team completed the second package. Score! $43,000. Quick thinking and great teamwork produced an amazing outcome for a worthy cause. This year Toberman honored the Bryants with the Second Annual Bill Sharman Humanitarian Award for their philanthropic work. Bill Sharman was a Celtic and Laker great, who's been inducted into the Hall of Fame twice -- as a player and as a coach. He and his wife, Joyce, have been strong supporters of Toberman. 1. Mrs. Bryant’s dress. I’m not sure who she was wearing, but she and the dress were stunning. 2. Jeanie Buss. 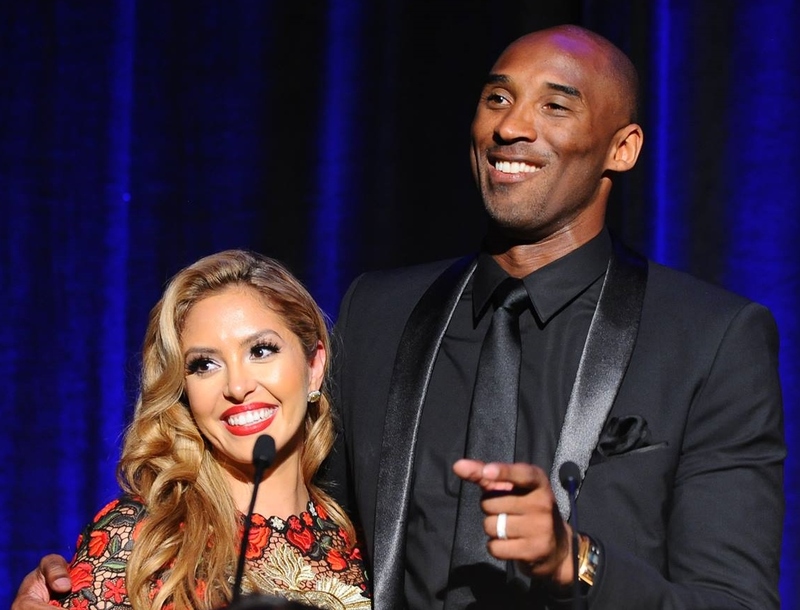 I found her to be bright, approachable, and pleasant, and look forwad to following her success as she leads the Lakers. la games conference: free-to-play is here to stay. women blow things up. monetize your content with micro-transactions, subscriptions, and brand integration. you can’t count your dollars for games sold, so measure the time users spend playing, and their engagement. that should give you an idea of how much to charge for your revenue channels. to market your games, focus on a niche, and entice users to share the game with their friends. most online gamers are males 13 to 32 and females 25 to 54.
here’s a twist on a great niche: women like to kill things. they like to blow things up. they like to race. nanea reeves of gaika suggested women aren’t all about bows and barbies. watch for game developers to focus on the market. watch for these other game-changers, too. more people like high school kids in their garages will build more games, and consoles will be replaced by your smartpone of your ipad. the event was hosted by digital media wire at the sls hotel in beverly hills. digital media wire is led by ned and tinzar sherman, and they always produce great industry events. subscribe to their daily newsletter to learn more. During panels at the Variety's TV Summit, several keen observations were made by industry insiders. "I tell stories that are alive to me. Stories like Private Practice." "We didn’t want to make Private Practice fun." "It’s a dream to be given material like Private Practice that you know will change people’s lives." "The writing in Private Practice was so good, all I have to do was show up." "Everyone is as connected as the hairdresser." "Brands with anagrams are like tofu. They’ll take whatever flavors you want them to." "We don’t chase hits, we chase shows that fit our brand." The event was held at the Renaissance Hotel in Hollywood, CA, on February 15, 2011.